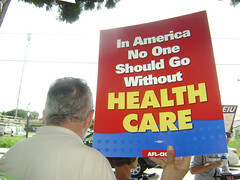 Interested in how the Health Care debate and potential reforms will impact the District? For starters, try reading up on DC’s Health Care current status quo. I’m not advocating for any specific plan (I’m still trying to edu-ma-cate myself) but the DC site has some stats that really bring the health care debate to the home front. Here’s to hoping that our government can come up with a solution that’s both viable and effective. As an urban planner in DC, I cringe every time I hear a myth about the city (OMG, if I hear the “Pierre L’Enfant hated John Jay” reason for there being no J Streetone more time I’m going to scream). One of the most widespread myths I hear from out-of-towners and Washingtonians alike is that the height limit in DC states that no building can be taller than the dome of the Capitol, and that the limit was enacted to preserve views of the Capitol and Washington Monument. This is just plain wrong, and I’m here to tell you why. 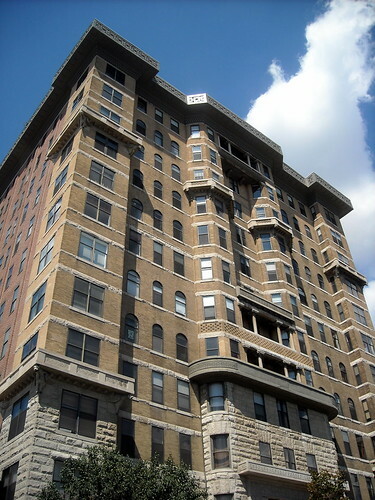 Back in 1894, the Cairo apartment building was built on Q Street NW in Dupont Circle. At 14 stories tall, it was the tallest building in the city at that time, and some residents had concerns about it. Would it overwhelm the lower-density neighborhood? Was it structurally sound? Would existing fire-fighting equipment be able to reach top floors? Those last two questions were primarily the reason that Congress stepped in in 1899 to establish the Height of Buildings Act. Technology at the time was advancing quickly, but questions remained about the safety of such a tall building. Height limits at the time were fairly common in American cities, including Boston and Chicago.